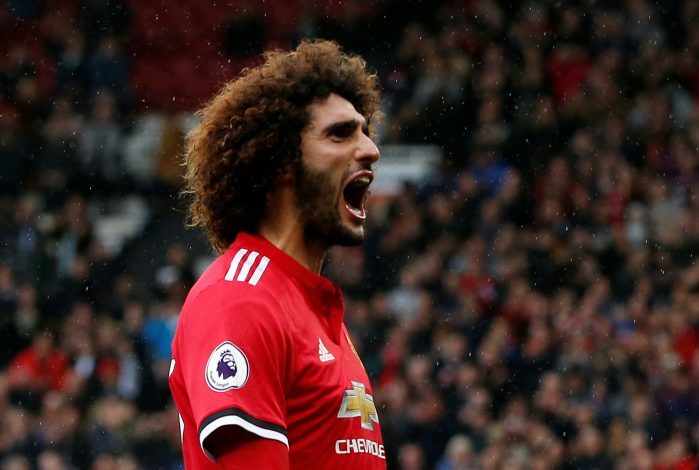 Manchester United confirmed that Marouane Fellaini has departed the club and joined Chinese Super League outfit Shandong Luneng Taishan FC on a three-year deal. The Belgian midfielder was David Moyes’ marquee signing, and oft-criticized for the gaffer’s disastrous spell at Old Trafford. In spite of it all, Fellaini mustered up the enthusiasm to win back the fans and played on, surviving through the reigns of Louis van Gaal and Jose Mourinho, playing crucial roles in the rosters of both gaffers. Fellaini netted 22 goals in his 177 appearances with the club, and succeeded in securing several titles, including an FA Cup, a Community Shield, a League Cup, and a UEFA Europa League trophy. Fellaini was a limited player who gave maximum effort at United, more so than players with twice his ability post-Ferguson. Will always be associated with Moyes era and decline, but played a huge role at times and scored some crucial goals. There was certainly a mixed response on show, as many heaved a sigh of relief to see the midfielder depart the club. Others still praised the player for his undying charisma, and acknowledged the crucial role he played during his long tenure in Manchester. It is fair to say that the Chinese Super League has received a player of incredible talent and passion in the midfielder, and like one tweet pointed out, perhaps he’ll be happy to shrug off the criticism and enjoy a decent pay in a lesser league, where he’ll be assured gametime and opportunities to entertain.